FU7 Standing Funeral Wreath for condolence. Funeral Flower Wreath Arrangements. Wreath delivered with Tripod Stand/Easel to LePine, Tobin Brothers, Alison Monkhouse, Jensen, and all Melbourne funeral services. Funeral Condolence Words are written in Chinese or any language on White Ribbons or cards. Ivory lilies, gerberas, carnations, roses and green foliages. 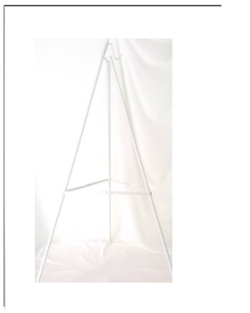 (Price includes Stand for hanging funeral wreath – Value of Easel/Stand $45). Standing Funeral Flower Wreath delivery with Tripod Stand or Easel to LePine, Tobin Brothers, Alison Monkhouse, Jensen, funeral services. Funeral Condolence Words are written in Chinese or any language on White Ribbons or cards. Ivory lilies, gerberas, carnations, roses and green foliages (wreath delivered with Tripod Stand/Easel $45). Funeral Flower Sprays and Funeral Flower Hearts are also sought for sending as funeral condolence flowers. 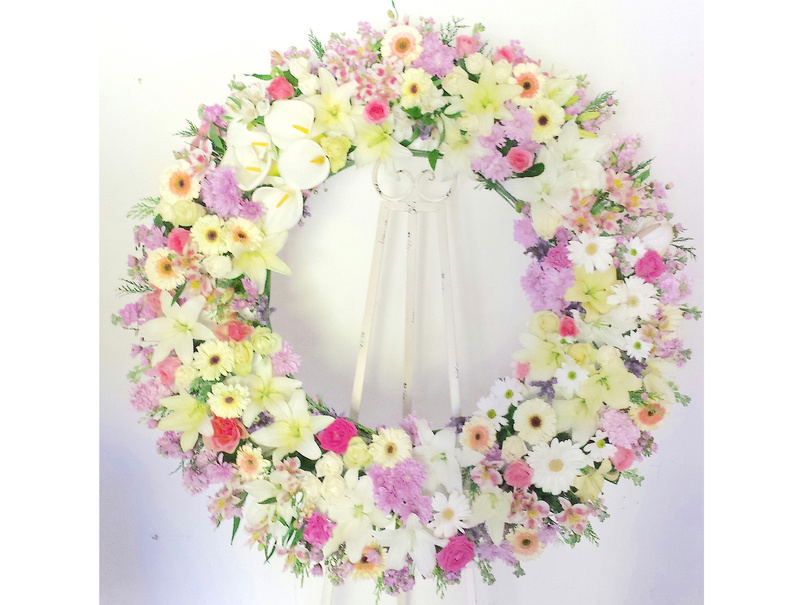 Funeral Wreath with Stand delivered with funeral wreath to funeral service, funeral homes, cemeteries, churches, chapels and botanical gardens across Melbourne, Victoria, Australia.